We just wrapped up a special women’s training event up here in New Hampshire at the Farmington Fish & Game Club. 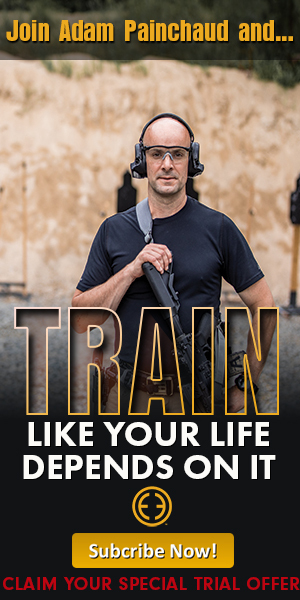 We hosted a only basic handgun class. Christy taught it and did a phenomenal job, it was a big success. We had 13 women in the class. We had a great bunch of ladies in that class. I was there helping Christy load magazines and set up targets. I got to interact with ladies as well. We had ladies who had some experience. I think one of them was someone who concealed carried. A couple of others had guns around the house, but really never carried, and at least half the class had never even fired a gun. We really had instant success out of that. One thing that stuck with me after a class like that, especially a basic class. It’s the instant success you get when dealing with students that have no prior experience whatsoever. It’s the instant success we received from them when you teach things correctly. It just goes along with professional training and receiving professional development. One of the ladies in the class had gone to the range a couple of times, and she just wasn’t having very good luck with accuracy. Her son is in the Army and he was trying to give her some advice, with all good intentions. However, he was trying to give her advice, while not being a firearms Instructor. He did have some training under his belt, though. He was telling her things like “oh you don’t have enough finger on the trigger” or “you’re jerking it” or whatever. None of these things were relating to her and she was getting frustrated with her son. It was actually kind of comical. 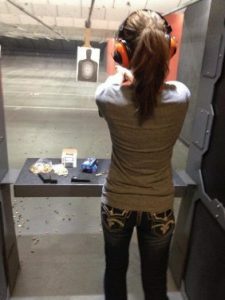 Yet once we showed her how to do things correctly on the range, she was an instant success. It was funny, at the end of the class we actually did a one-shot competition. We had little three-inch bullseye targets set up. They were only about 5 yards away with a little tiny black dot in the middle of that target. She won that competition! Every one of the ladies got to fire one bullet at that target and she smoked it. When I say she cleaned it, she couldn’t have drawn a more accurate bullet hole with a sharpie in the center of that target – she punched it. She got it. 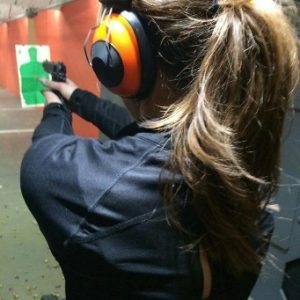 She left the range and understood what she needed to do to be safe and be successful with the firearm, specifically a handgun. This was a great example of how professional training can go a long way. 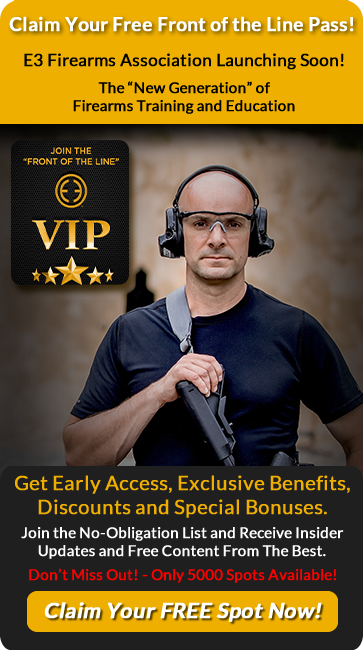 Whether the person is new to firearms or already has some experience.